When operating a plastic molding machine, whether horizontal or vertical injection molding, manufacturers follow specific guidelines to ensure a stellar finished product. At the same time, plastic molding manufacturers must adhere to strict safety rules. As a machine with many moving parts, safety is always a priority. A plastic molding company utilizes multiple types of machines, each used to create a different type of part or component. Included in the company’s training program and in compliance with OSHA regulations, all operators gain extensive knowledge of the various parts and how each machine works. That way, that individual can produce high-end products without any concern of sustaining an injury. 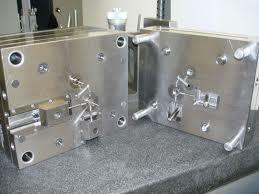 The type of machinery used by plastic molding manufacturers to produce plastic parts and components is top-heavy. Therefore, when moving a machine, it is essential to have several people involved. That way, there is no risk of it toppling over and trapping someone underneath. Even installing a new machine correctly is crucial. In this case, the team needs to keep water lines off the floor and immediately clean up any oil spills since both create a risk of slipping. For an existing machine, the operator should pay close attention to the hydraulic hoses. If that person notices any signs of degradation, the hose needs immediate replacement. The reason is that if it should burst, there is a possibility of hot oil spraying on someone, causing a severe burn. Also, hydraulic oil is highly combustible, thereby posing a risk of fire as well. Beyond the plastic molding machine itself, manufacturers work with molten thermoplastics. That alone creates a significant risk. Whether creating a product for a customer, purging the machine, or performing maintenance, it is critical for the expert to understand how to handle hot plastic correctly. Even smoke and fumes emitted from molten plastic can cause health-related problems. As an example, PVC, a common material used by the top plastic molding manufacturers, produces hydrogen chloride when heated. If inhaled, the operator, or anyone for that matter, could experience irritation to the throat and nose, constant coughing, and even choking. Polypropylene, another commonly used plastic, emits fumes that contain acrolein, acetone, and formaldehyde. Along with coughing, watery eyes, and irritation to the throat and skin, there is a risk of developing cancer from these chemicals. There are even safety concerns during the cooling phase and while removing the hardened plastic from the mold. Often, the coolant sends mist into the air, which compromises its quality. These tiny particles are easily inhaled, again causing an array of problems like coughing, wheezing, and irritation. Regardless of the thermoplastic used in a plastic molding machine, they can have a chemical reaction. It is up to the plastic molding manufacturers to provide their teams with proper training as well as protective gear. At RPM, we follow all laws and regulations as well as internal policies to prevent accidents from happening. With a safe operation, we can produce precision products on time. For the best possible service, you want to rely on a plastic molding company that delivers on its promises. RPM is your most trusted source.